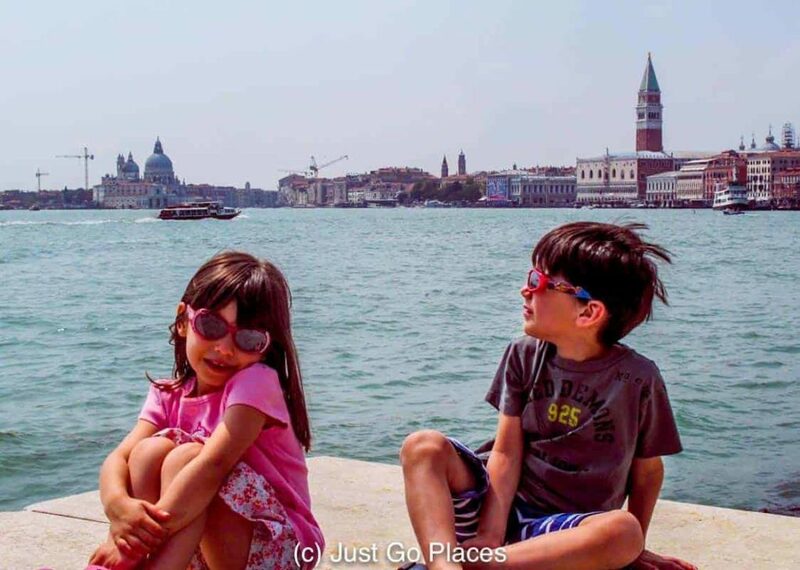 Venice is one of our favourite cities in the world and so we were only too happy to oblige with a family trip. 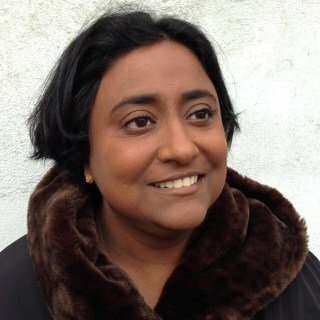 In fact, the traditional gift for a first wedding anniversary is paper and, my husband surprised me with a trip to Venice (paper flight tickets to Venice). Then, we had kids, and it was all downhill after that anniversary. No, just kidding. That first anniversary gift was hard to beat. There is so much people and place watching for kids to see in Venice. The large cruise ships coming into the harbour itself was a delight. 1 What Did Olivia Do In Venice? What Did Olivia Do In Venice? 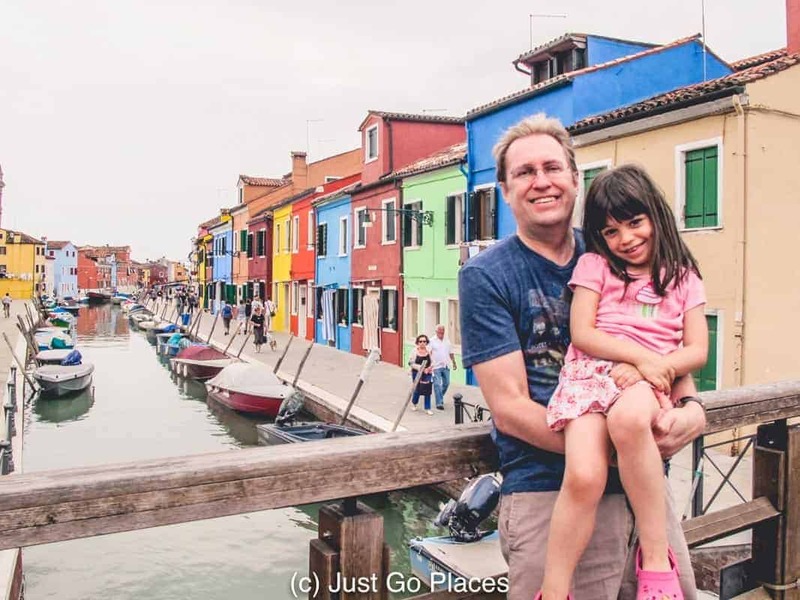 We did all the things that Olivia the pig did – such as take a gondola ride, visit St. Mark’s Square, clamber around bridges, buy souvenirs and eat lots of gelato. We stopped short though of destroying a famous landmark and being chased out of town by a baying mob of angry Venetians (you’ll have to read the book to understand that reference!). We had to take a Gondola ride naturally. Olivia did it but neither my husband nor I had done it before this trip. We found lots of ways to amuse the children in Venice that Olivia may have missed while she was busy scoffing down gelato. 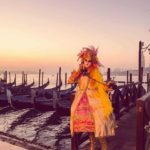 We thought we would share with you some money-saving tips on how to soak up the Venetian ambience because Venice is NOT cheap. We splurged on a nice hotel so that it’s easier to explore with the children from the centre. And, gelato, of course. Lots of gelato. 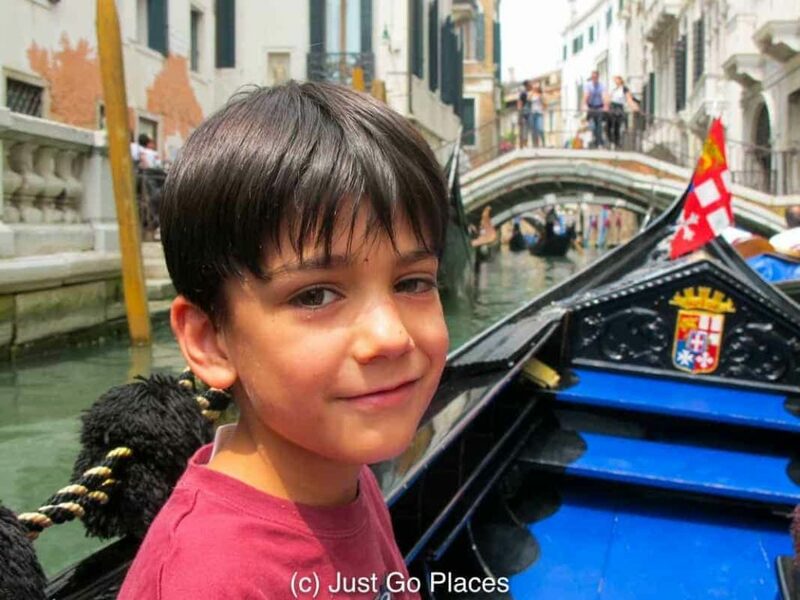 5 money-saving and fun things to do with children when you are visiting Venice, Italy. For example, my children really enjoyed the water buses. Not only are they a cheap way to get around Venice, they are also the equivalent of live Venice television. 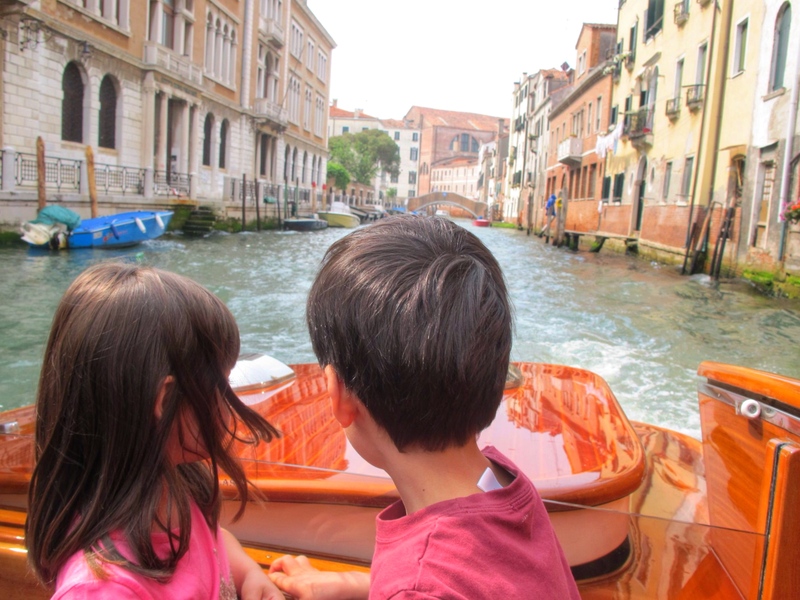 The kids just stood in the front of the water bus and watched Venetian buildings and life pass them by in the canals. 2. Another unexpected (cheap) pleasure was checking out all the different store fronts along the side streets. There were more masks and tourist tat than I thought possible in such a small area and the children enjoyed finding new and different ones. We set up a competition to see who could find the (i) creepiest mask and (ii) silliest souvenir. 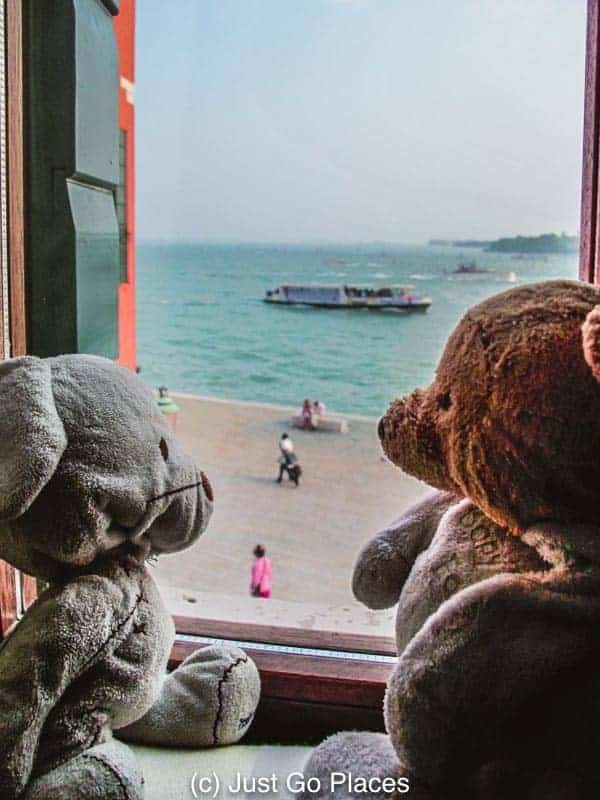 The kids’ sleep toys stayed in our hotel room and had a nice view of the Venetian harbour from the window. Once you are off the main strip, the tourists just dissipate which made letting children explore easier. Many times we were the only ones on a particular back street and I had no fear of losing them in a crowd. We did, however, get ourselves lost quite a bit. 3. We also went to explore Venetian lagoon islands. Islands such as Burano, Torcello and Lido were all easily accessible by the water bus. Torcello has a Byzantine church which was a nice little hike along a canal pathway. Set in the woods, we pretended we were on a bear hunt. The little island of Burano is so colourful it didn’t even seem real. 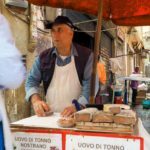 Burano is famous for its Buranello cookies which required a search and discover mission followed by a taste testing (of course). Murano with its brightly Crayola-colored houses looked like a film set. 4. 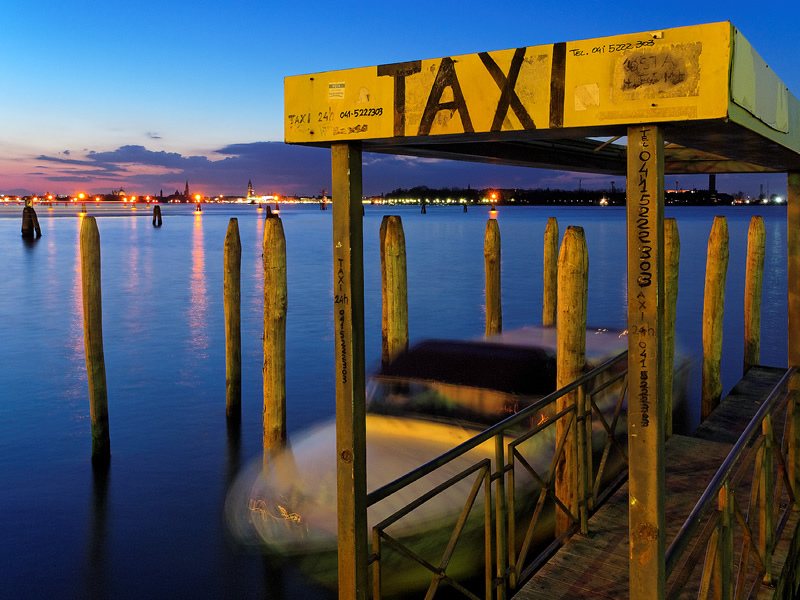 We should have gone to Murano on the water bus but fell for the charming tout who said we could take a free water taxi. My son is a sucker for speed and the water taxi really blazed a trail on the water much to his delight. Of course, the water taxi took us straight to a Murano glass factory from which there was no escape, except through the store. It would’ve been cheaper just to hire a water taxi to zip us around for half an hour. Lesson learned. On the other hand, if you can ignore the sales patter pressure better than we can, a water taxi is really fun (but usually so expensive we had never bothered with it previously). 5. 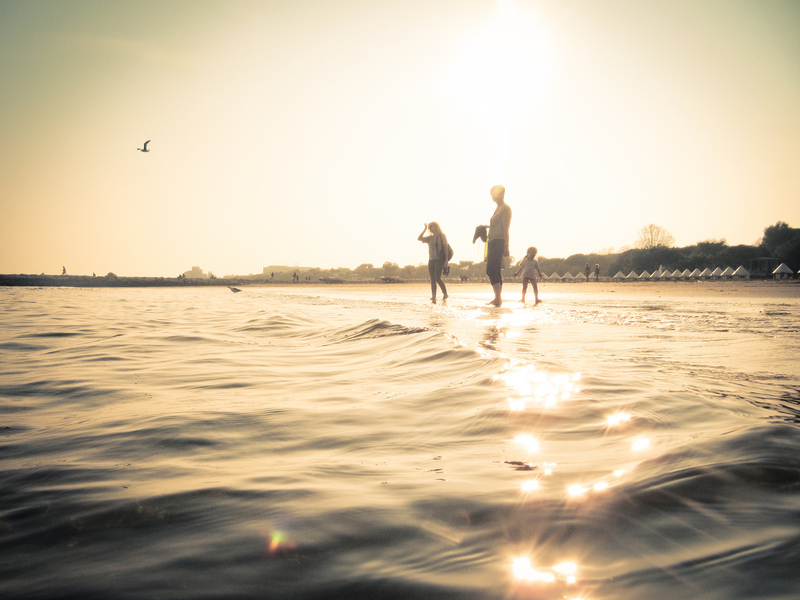 Of all the Venetian lagoon islands, the biggest hit with my children was the Lido because of its beautiful sandy beach. 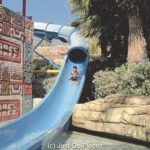 The Lido is famous for its beach which is not far from where the water bus stops. After a pit stop for a gelato (naturally), we spent a lazy afternoon on the beach on hired beach loungers. It was a perfect rest stop in between sightseeing. The kids played in the sand with makeshift toys (a cup and a spoon) and my husband and I just chilled. I found Venice with children is a really easy place to visit. The food and the transport are guaranteed children pleasers. The little side streets are easy to meander along with lots of interesting store fronts. You will walk so much, they will be really tired by the evening. And, you can top off the cultural sightseeing with a trip to the beach! 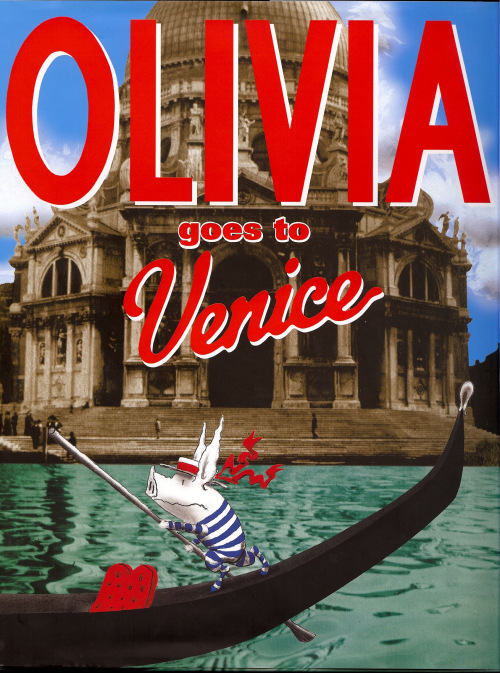 As for Olivia Goes To Venice, I know there have been negative reviews from critics who think the book is a far cry from the simple charcoal sketches which characterize the previous Olivia books, that perhaps Ian Falconer has sold out for money, yadda yadda. My children absolutely love the book and can pretty much quote it verbatim. 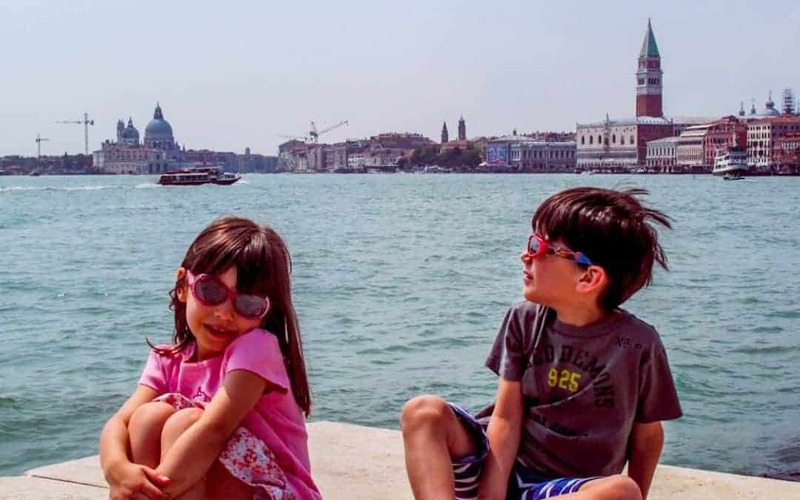 So I don’t care what the critics say – my children loved Venice, a city that is special to my husband and me, and they first learned about it from the children’s book, Olivia goes to Venice. 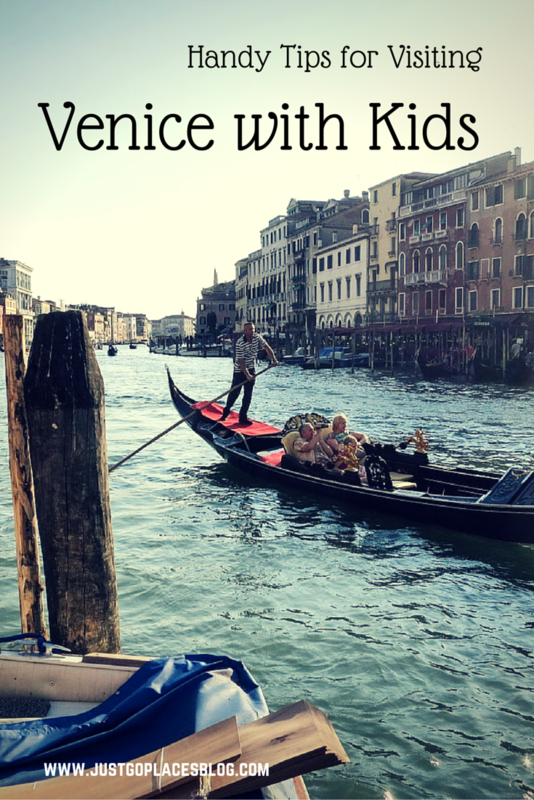 Have you ever been to Venice with children? What did you think? 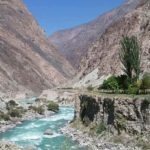 I love literary inspiration for my trips! Great starting that for your kids now! 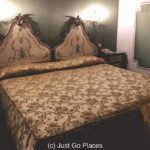 Jamie Italiane recently posted…A Bizarre Las Vegas Road Trip Stop: What is Really on Zzyzx Road? I’m sure yours are slightly more high end than a sassy little pig with a fondness for gelato. Yes! 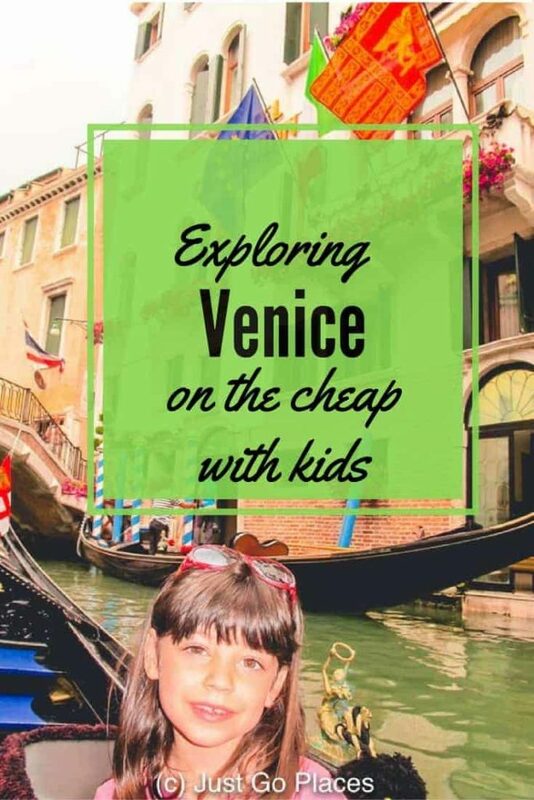 The Vaprettos of Venice are such a good thing to do with kids and they’re the least expensive option for transportation. Great idea! In a city where everything is expensive, it’s good to find some value. 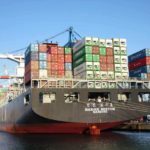 Nice post and tips. Loved the pictures, brought back wonderful memories of Venice of a couple of years back. My daughter loved it too… Wish I had more time to try out what you guys did… Would have made it more fun. There’s always next time. Venice is a city to be savoured. Water buses and taxi sounds cool! Pictures are awesome. Would love to visit Venice. You can’t really take a bad photo of Venice in my opinion. Yes they loved it! We want to take them back for Carnival. I really like that you show the reader how to visit this beautiful city with kids. What a fun idea to follow the guidance of a book! No wonder your children had so much fun there! It helps that Olivia is a fun character and always in trouble. She really appeals to children with their sense of mischief and curiousity. Sounds like a great way to introduce kids to a new city and really get them engaged and excited about visiting. Great idea! The lagoon islands really interested me, and I had no idea you could see so much from the water taxi, thanks for sharing! How did you solve the problem of getting lost often haha? It’s actually not that big a city. Just look for the tall spire of St. Mark’s and you’ll find your way back. 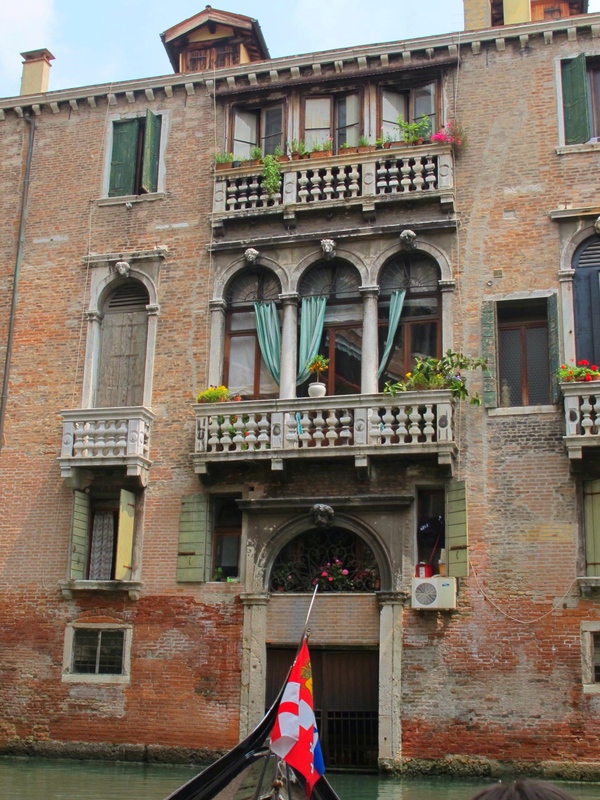 I think Venice is great as a grown up, but it would be even more fascinating as a kid. I too can ride the vaporetto all day! so can my kids! you see city life unfold before you.